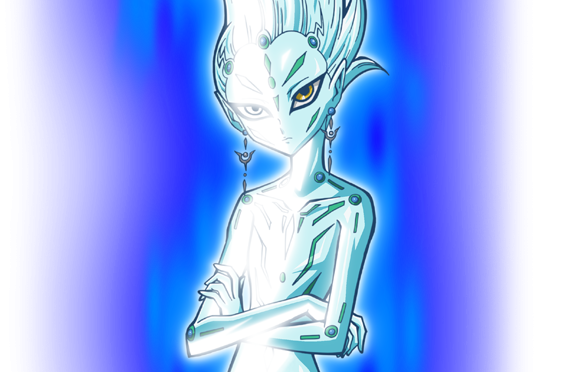 Astral (Asutoraru) is a being from the Astral World in Yu-Gi-Oh! ZEXAL that serves as the deuteragonist of the series along with his partner and eventual friend Yuma Tsukumo. He was sent to the Human World by Eliphas to destroy the Barian World in order to Rank-Up their world, but after Kazuma Tsukumo modified his programming, he was sent to Yuma instead. Upon arriving in Yuma’s world, his memories were scattered in the form of 100 “Number” cards. While originally he only retained one of the “Numbers”, he knew that when two or more “Numbers” confront in a Duel, they will battle each other to consume one another, allowing Astral to absorb vanquished “Numbers” and recover pieces of his memories. Since pursuing the other 99 “Numbers”, he and Yuma have retrieved all 100 pieces of Astral’s memories along with each respective “Numbers”, with the addition of attaining eighteen Chaos Numbers plus a Rank-Up and Rank-Down version of “Number 39: Utopia”. Due to his amnesia, he forgot his mission which was entrusted to him. Number 96 claimed that his mission is what all of the “Numbers” want – the destruction of the world, which horrified him. Related to this is his mission is to obtain a powerful card known as the Numeron Code that can shape worlds, with the intent of destroying the Barian World. Although Astral has amnesia, he has a very intelligent and calm when it comes to Duels. Even in disastrous situations, he does not seem to lose his cool and can think of a strategy. Outside this, arguably because of his memory loss and sudden arrival to another world, he is curious to the point of naivety, for matters as simple as eating, going to the bathroom, or believing that TV shows are real. 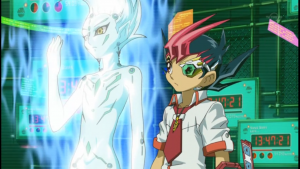 His naivety would go to such extent so as to ask Yuma why “he needs to be alone” when Yuma’s in the bathroom, to which he replies by saying that he would “die” (in the dub, Yuma says that he would turn into a “guinea pig”) otherwise, a thing that Astral took literally. When he “discovers” things, he has an habit of saying “observation number one, two, three” and then speak the result of his analysis; the fact that he can successfully continue the counting throughout the series implies he has great memory. Astral has a fear of cats, which he defended by claiming that he hadn’t done any observations about them, but seems to gotten over it later on. Usually stoic and cool, Astral does not smile much, but he smiled for the first time when Yuma recognized him as his comrade. Afterwards, Astral begins to smile more often at Yuma since then and even cheered him on with his friends and family when he was trying to do his 20-stack challenge. Astral is a Duelist of another universe who can only been seen by Yuma Tsukumo and those connected with the Barian World; he can also be seen by people exposed to energy derived from the Astral World or Barian World, which included the Arclight Family’s power of the crest. Others cannot see or hear him, which often leads them to think Yuma is talking alone. 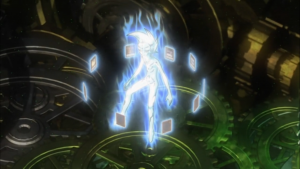 Astral is not a physical being, but is shown to be able to hold Duel Monster cards. 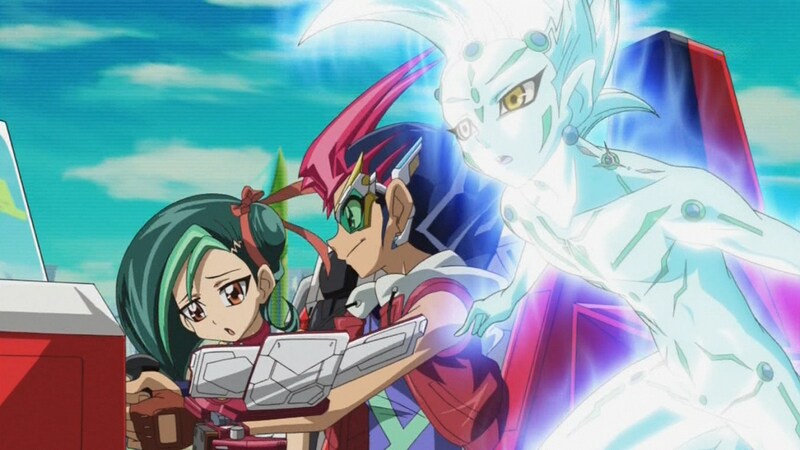 Astral uses Yuma’s Deck, but Yuma uses his Deck with an offensive strategy, while Astral takes a more defensive approach using “Gogogo” monsters. 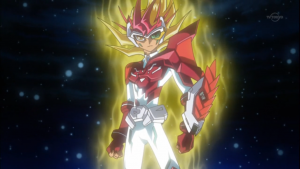 However, like Yuma, he utilizes various Spell and Trap Cards and focuses on Summoning “Utopia”, and eventually its upgraded version. While Dueling Yuma, Astral uses a “Number” Deck due to him having access to all 100 original “Numbers” and includes the upgraded forms of “Utopia” in his Deck. His Deck’s strategy forces on quickly Summoning “Utopia” and its alternate forms, while using “Number 99: Utopic Dragon” as a last resort. Like Eliphas, he uses no non-Xyz Monsters in his final Duel.